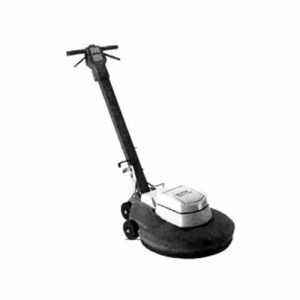 The Challenger Zippy 430 is a high-speed battery burnisher for use on all hard flooring including vinyl, wood, terrazzo and homogeneous tiles. 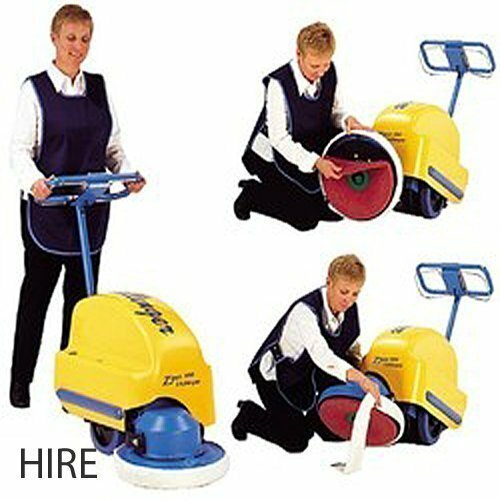 Complete With: Polishing pad, gel batteries and charger. The Zippy 430 is compact and easy-to-use yet boasts a high output speed on the pad to achieve a high-gloss wet look finish. A small footprint and battery power means that Zippy 430 can burnish inaccessible locations lacking mains power including lifts (elevators). Also, as there is no mains cable to cause a trip hazard burnishing can be done during normal hours where the public are present. Finally, battery power means that Zippy 430 can be used in locations where mains voltage equipment would be unacceptable such as sports facilities and swimming pools.